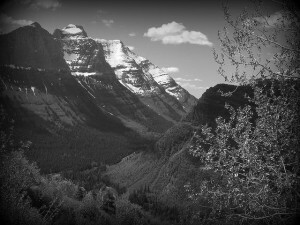 Going To The Sun Road in Montana is a favorite drive for many tourists. Portions of the road stay open all year long and give access to different locations along the way. The road is a favorite for many visitors to the area. The entire length of Going To The Sun Road is fifty miles. If traveling by vehicle with no stops, the venture can be easily accomplished in under two hours. Many stops are available along the way to view the mountains and overlooks. One overlook includes the Jackson Glacier Overlook which allows visitors to see glaciers from the area. The full length of Going To The Sun Road is usually open in June for travel. During the month of September, a section of the road will be closed (between Logan Pass and St. Mary Campground). Later in the month of October, the section of road will close from the West Entrance to Logan Pass followed by closure of the alpine section. Other travel options are available for tourists including tour buses and shuttles when the road is closed to vehicles. Inclement weather is a factor as to the availability of these options. For those interested in staying over on the road, five campgrounds are located along the Going To The Sun Road. They include Apgar, Avalance, St. Mary, Sprague Creek, and Rising Sun. Before planning your trip, be sure to check the status of each campground location. Have you traveled Going To The Sun Road on your trip to Montana? What was your favorite part of the day trip? Please leave your comments and share with others on the Big Sky Blog! Photo Information: This photo is provided by and given credit to Ken Lund – on Flickr.com with permission via Creative Commons Licensing. Just a reminder for folks – when you turn 62, you can buy your lifetime pass for the National Parks. This will get you and your fellow vehicle travelers in to any National Park for free. Another great trade off for wearing a gray beard and less hair!